Hats are an integral part of summer here; they provide protection from the sun and camouflage for those inevitable bad hair days. 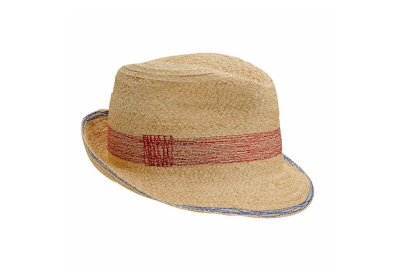 A couple of years ago the trend was for straw cowboy hats but recently the fedora has taken over. While the Fedora does not have as as big a brim as the cowboy hat, I prefer its shape and packability. I like this "scribble" fedora from Chance as a great modern take on an old staple.